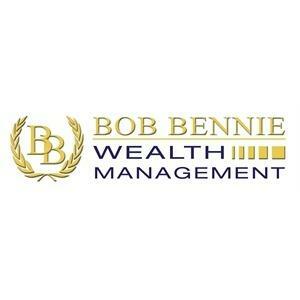 Bob Bennie Wealth Management is a full service financial planning firm located in Lincoln, Nebraska. We have been serving clients here in Nebraska, and in 25 other states across this wonderful country, since 1995. Specializing in retirement planning, investment management, and estate planning, Bob Bennie Wealth Management can assist you in achieving a secure financial future for yourself and your family. As a team, we are trustworthy, independent, friendly, and professional. Bob Bennie Wealth Management strives to provide you with the secure financial future you desire, while setting the standard for service in the financial planning industry. Our achievements are a testament to the expertise and financial guidance we are known to provide. CERTIFIED FINANCIAL PLANNER Professional, CFP® Masters of Business Administration (Finance) Kansas State University Bachelors of Science (Agriculture) University of Nebraska Barron's Top 1000 Financial Advisers in the United States Whether you are a few years shy of retirement, or are already retired, Bob Bennie Wealth Management can help you strategize for a more prosperous life post-career, and plan a legacy you will be proud to leave to your loved ones. Give us a call today, to learn how we can help you grow, manage, and secure your wealth for generations to come.